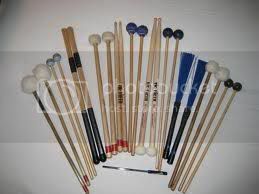 You need a shaker, or marimba..or a clave on a track..and its the middle of the night and you cant make much noise..or you just dont have such instruments to hand..Well lucky for you its the 21st century where well recorded percussion is available to you …as samples…. for free. This link neatly dovetails with previous sample free – for -all blog post, you get some interesting found sound percussion samples and in addition, several more drum kits – more geared towards hip hop and dance than a collection of “room” kits. This ought to take you a wee while to get through – should you choose to download them all. Get some tasteful reverb and EQ and you`ll be able to make these samples come to life. a demo of how these samples sound like together. This is percussive AND also melodic, if you were wanting to give a “far east” feel to something then these sounds could be built upon – no problem. This guy needs no introduction to those who love Soul, northen soul, funk, samba..hes been around so many different scenes..worked with so many top notch musicians..and compiled many albums. In that time he worked with some Cuban percussionists and hes offered up stems from that session for free. There`s a request not to use them with copyrighted material - i.e don`t use them in mashups, but other than a request to use their hashtag on twitter if you do use them, there appears to be no restrictions on their use.